Can identify residential and defensives elements of a gothic castle and also know how was the life in a castle along centuries. The tour is for the public on mornings of first Sunday of the month and for organized groups previous reservation. Its privileged position let us take the castle as a base for guided routes by the canton of La Segarra and Lleidas plain. So, there’re organized and guided routes by food or by bicycle on roads around for knowing the close castles of Florejacs, Les Pallargues, La Morana or Vilamajor, as well interestings examples of Romanesque art, popular architecture and a landscape plenty of nature hardly transformed by humans. Moreover we can advice you for other routes in interesting points around, as well about the route of Sio castles and the way to Saint James, and fairs and festivals of towns around. 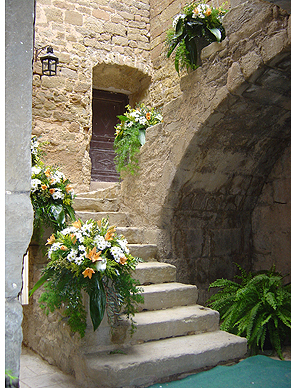 The castle of Les Sitges is a privileged frame for all kind of celebrations. They rooms let develop from companies meetings to banquets and cultural and entertainment events. Our partners can make possible the organization of weddings and other social and familiar events with all convenient details such as: catering service, tents, flowering, illumination, music in live, shows and others. 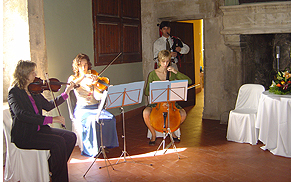 Les Sitges castle is also a non-comparable frame fro developing conferences, courses, concerts, demonstration shows, and public events. 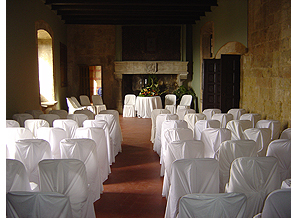 Its interior rooms and exterior spaces are easily adaptable to any kind of event. The magnificent conservation of original elements of the castle are made of it an ideal frame for photography report or all kind of filming. The good illumination of the most representative rooms (noble hall, courtyard, terrace, the walled courtyard) is combined with other corners more reserved (dungeons, cellar, stables) for creating an ideal environment for filming and scenography.